I love satire in general and Saturday Night Live in particular, but there’s one series of sketches I wish I could erase from my mental library: Al Franken’s take-down of the 1990s’ self-help industry in the form of his character, Stuart Smalley. Have you seen these skits? They feature an effeminate man who dresses in pastel sweaters and speaks with a lisp. Having affixed a goofy smile to his face, he looks into a mirror and spouts several affirmations that are patently untrue, full of psychobabble, or so non-specific as to be incapable of helping anyone take positive action. And if you’re still on Facebook, here he “helps” Michael Jordan. Why do I regret having seen these videos? As regards the point of this article, they turned me off affirmations for years, and I imagine had a similar effect on other viewers. As I now consider affirmations to be a huge aid in reducing pre-writing anxiety, that’s a shame. Though I’ve been writing for decades, during 2018, I feel like I finally became a writer—one with modest external success, and with ambitions that exceed her grasp, but a writer nonetheless. Part of this is a function of experience; having now written three novels, the third of which will come out in February, the writing bug has only intensified. It’s becoming undeniable to the world, and more importantly to myself, that writing is part of my identity. But part of this is that, while composing my third novel, I finally developed rituals to conquer pre-writing anxiety. Surprise! A big part of that was developing writing-related affirmations. Given my tortured recollection of the Stuart Smalley era, I started small and somewhat accidentally. I write joyfully and with an experimental mindset. I often discover the best material in the spirit of play. Writing that was like setting a mental goal post of sorts, yes? To my surprise, it helped—immediately and for about a month, until something happened in the real world and I could no longer conjure a playful attitude for the life of me. Suddenly, that single affirmation felt stifling in its own right. I mean, on top of coping with everything else, was I supposed to fake my way into having fun so that I could write? Obviously that wasn’t going to work. I ignored the signs for months, convinced the anxiety, crying jags, insomnia, and moments of rage were hormonal potholes on Perimenopause Lane. In my defense, life has thrown a few curveballs since December. Before I could send out queries on my newly completed manuscript, I came down with the flu. On Christmas Eve. This illness transitioned into a violent asthmatic/allergic cough that remained until mid-March. I lost fifteen pounds (good) but only because I could barely eat or sleep (bad). During this time one of my daughters was diagnosed with an anxiety disorder. A few weeks later her best friend received a lymphoma diagnosis. An elderly aunt and special needs cousin moved to Dallas and their new home required a major face-lift. I threw myself into helping them, trying to ignore the lack of response to my initial queries. I later discovered those same queries, unwisely proofread and sent between coughing bouts, contained a glaring typo in the second paragraph. Perhaps I sensed that it was only a matter of time before she’d bristle when teachers referred to her not by name but as the girlfriend of a popular kid, before she’d decide she was too young to be with a boy who claimed (quite earnestly) that he hoped she’d be both his first and last girlfriend. When that day came and she let him go, I struggled to praise her self-awareness and maturity. It was at that moment I realized I was not okay. 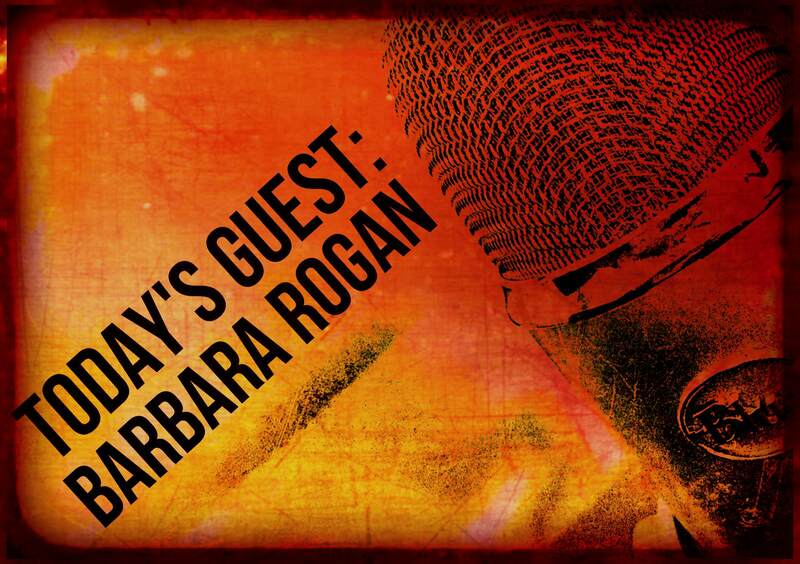 Our guest today is Barbara Rogan, author of eight novels, most recently A Dangerous Fiction (Viking/Penguin), and co-author of two nonfiction works. Her books have been translated into half a dozen languages, featured by major book clubs, and optioned for film. After working as an editor at Fawcett Books, she founded and ran her own literary agency. She has taught fiction writing at Hofstra University and SUNY Farmingdale and currently teaches online at www.NextLevelWorkshop.com. Writers eavesdrop, fiction writers especially. They have to. Eavesdropping serves a dual purpose, keeping writers in touch with the ever-evolving vernacular while providing field study in human nature. That’s why my recent diagnosis of “mild hearing impairment” gave rise to an existential crisis and, eventually, this essay. The issue will affect every writer who lives long enough. Yet it’s rarely discussed in polite company, maybe because hearing loss is emblematic of the real taboo: encroaching old age. My essay begins with an appreciation of eavesdropping, then segues into the Forbidden Zone to consider the drawbacks and the benefits of WWO (Writing While Old), a topic I feel all too well qualified to explore. Connect with Barbara on Twitter, on Facebook, and on her blog. I put it off as long as I could. Covered up, as people do; smiled and nodded. Finally I gave in and went to an audiologist. She sat me in a booth and covered my head with large earphones. I could see her through the window, taking notes. If there was a period of silence, I watched her face for clues. It was a test, after all; I wanted to do well. I didn’t mind so much about conversations. One can always shout. But noisy public places are prime eavesdropping territory, and for a writer, that matters terribly.